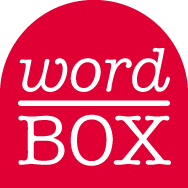 This is the third update for 2014 on contributions to our Word Box, the website feature you can use to alert us to new or unfamiliar words and phrases. These contributions allow us to identify new material for our general Australian Oxford dictionaries and also for our archive of Australian words. We like to share our recent findings through regular updates. We thank everyone for their submissions and encourage you to contribute—just click on the Word Box image to the left to post your word. A few of the more interesting contributions from the last three months are discussed below; some are new to us, and some we already know. We welcome any comments about your understanding or experience of these words.